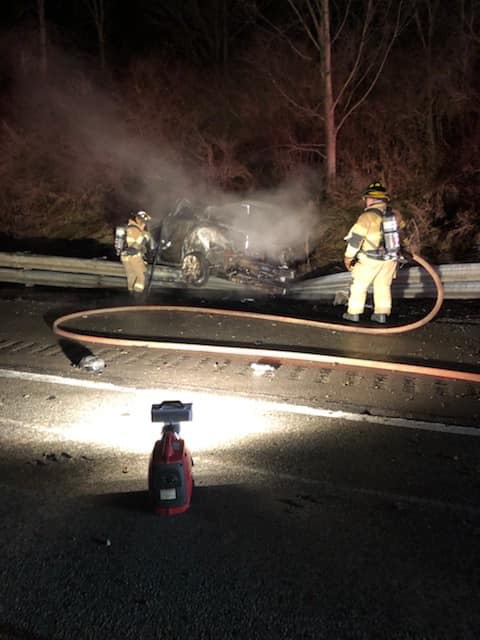 One person was reportedly injured in an overnight crash on Interstate 79 in Butler County. The crash happened about 03:30 a.m. Tuesday on I-79 south in Worth Township, near exit 105 to Route 108 in Slippery Rock. The vehicle reportedly rolled over and then caught fire. 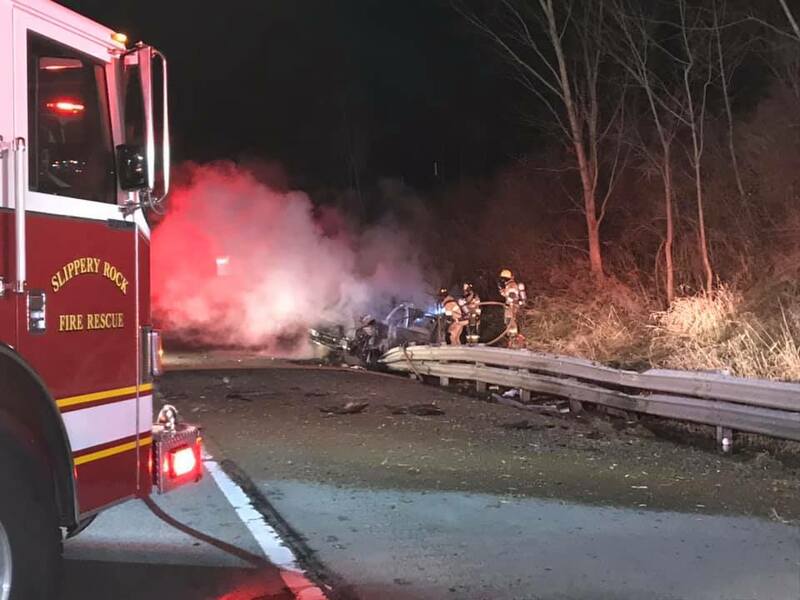 Slippery Rock volunteer firefighters got on scene and said the vehicle was “fully involved” in flames but all of the occupants were out. Crews quickly extinguished the blaze. One person was reportedly taken to the hospital. State police are investigating but have yet to release more information.